SE 465/2 465250 London Victoria station London Victoria st..
De-commissioned Battersea Power Station grade two listed. Wow! Nicely done, Bob! That's a lot of cranes over there. 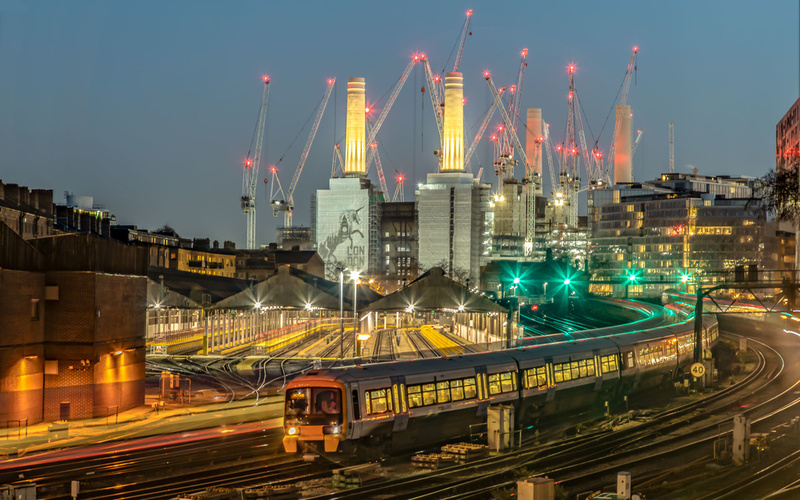 Battersea Power Station is an iconic view from all directions. It also has the distinction of being one of the largest brick built building in the world. The cranes incidently were working leaving light trails which made long shutter times difficult. They are engaged converting the building and the surrounding area to suit every conceivable use.